We love the Limassol area, it was our home for many years so we know it really well. 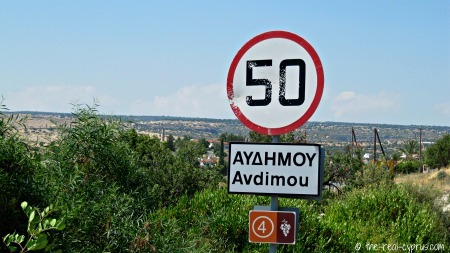 We always found it was really easy to get to everywhere from there, its a central place on the highway that now travels all the way from Ayia Napa and Protoras area in the east to almost now Polis and Latchi in the west. It is easy to get to either Airport at Larnaca or Paphos, Nicosia the capital or up to the mountains in Troodos. And if we had friends from either end of the Island they always came to us as we were in the middle! Limassol is located less than 1 hour more or less from all the major areas of the islands, and a further half an hour or so from Protoras in the east and Polis/Latchi area in the west, so the perfect central location for you to explore the island. In other words Limassol travel is easy. The harbour and port area are the biggest on the island, recently the Queen Elizabeth 2 cruise ship called into port for replenishment and a stop over which indicates the size of ships than can be accommodated in deep water. Limassol celebrates more fairs and festivals than other parts of Cyprus and is a lively town for entertainment. 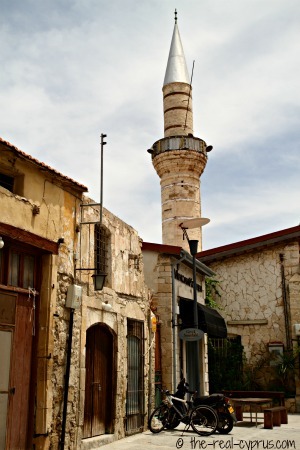 In any Limassol travel guide, the Old Town features heavily and for good reason. Here you have the old back streets, the medieval castle, the turkish quarter,the market and the wonderful old colonial buildings, many housing smart restaurants and boutique shops, with things you won't find on the high street. If you are interested in the mosque, I recommend you go along and have a look, it makes for a nice photograph. There isn't anything really to see inside and you cannot go up to the top of the tower, however, if you have an interest in the muslim faith, you are sure to receive a warm welcome. I think depending on who is there, depends if you can take photographs inside or not, but just go through the gate and say hello. 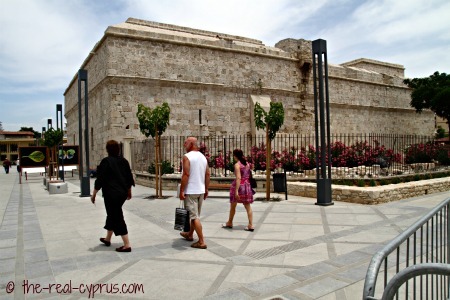 Nearer the old castle, the old restored carob mill is also in this area, now resplendant with some great trendy restaurants and bars, that I think fit in nicely as old with new, plus you can visit the Carob Museum as well to learn about this very important commodity for Cyprus. There is very much a in this area now, a great place to explore at night for dinner if you want a change of scene from your hotel or apartment location. It can be a bit pricey, but if you want a glamourous change, it is the place to be, even if you just buy a frappe! In summer in particular at the weekend it is crowded with cypriots enjoying a great social start to their weekend, so why not join them? Bring your camera as you will see some great photo opportunities, as you walk around the town during the day and the evening. You can still find the older generation working in little back streets mending shoes or doing those old crafts that are now dying out. Make the most because they probably won't be there for many more years to come. 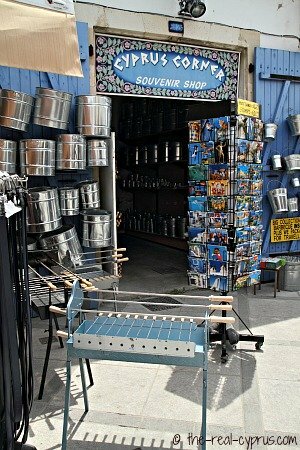 I mention Tin Pan Alley, because up until recently it was a prime example of the Old Town, where you could see little shop areas with men selling hand made bbq's and tin objects for the fire or cooking, hence the name tin pan alley. Now due to recent renovations in the old town, the area is pedestrianised and the little men and their shops have gone, but you can still see where they had their workshops. The works are in line with the development of the new 5 star, very expensive to live, marina. You can see the ongoing works when you arrive to view the castle. The end result will be stunning and I think it is fitting that a city such as Limassol should have a marina by now. The one in Larnaca is full and there is nowhere to dock your boat between Egypt and Turkey, unless you are lucky enough to find a berth at the St Raphael Hotel at the other end of the Limassol coast road. If you head down towards the coast road, a matter of a few moments away, it runs parallel to St Andrews Street. You can walk for 10 miles along by the sea, it is the longest stretch of coastal road in the Mediterranean, so you shouldn't get lost along it. Just make a note of some landmarks on the way for reference points. You will start by the old port, there is a pier to watch the fisherman relaxing on and a sculpture park on the seafront if you like modern art work and plenty of people to watch, and places to sit and contemplate the sea view, or the current marina development project as it progresses. The Limassol area itself covers up to around Pissouri Village in the west and out to Governors beach in the east and north up to some of the villages around Lania. 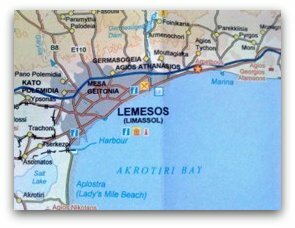 If you draw a box on the map around those areas you have about covered it for the distance required during your Limassol travel. Personally for us as well, it isn't what you would called too touristy!. 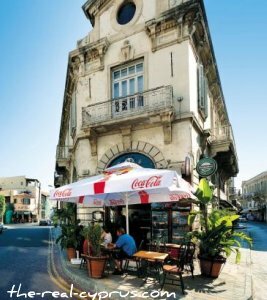 It is a working town and the islands second major city after Nicosia the capital that offers some tourism. We could never understand why in brochures it always said the Limassol area is the main tourism centre of the island. We would say Paphos and then Ayia Napa and Protoras hold that honour. Don't get us wrong though, Limassol town has some wonderful hotels as you leave the centre of town and head east and our all time favourite has to be the Columbia Beach Hotel and Resort in Pissouri village in the far west corner of the Limassol district. The Limassol area is packed with history, has some of the best winery country in the island and some wonderful places to eat. 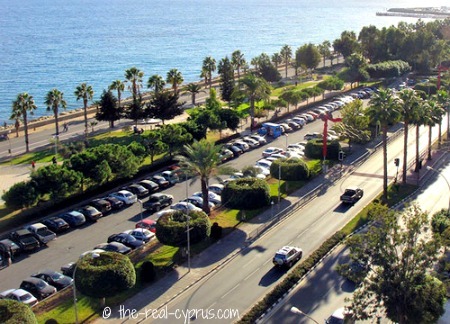 You have a choice of several beaches and some great places to visit for a day out on your Limassol travel. If you head inland on your Limassol travels you will discover wonderful villages still carrying on their daily life as they have done for many years, albeit some with the addition of mod cons like a mobile phone and satellite TV, but you will still find that unmistakeable flavour of the real Cyprus. You will also find the people of this area very welcoming to you, so don't be suprised if you find yourself sitting in the back yard of a persons house and they offer you a drink or some food. Be thankful you have just witnessed some of that world famous cyprus hospitality! You can find it in the town as well but as with most places in the world these days, there is an influx of other foreign nationals whose leaning towards service and hospitality may not be in line with that of a cypriot national. 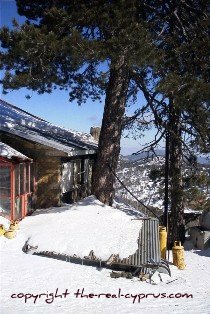 You can see the Troodos mountain range very well from the Limassol area and in the winter they look beautiful with the fallen snow. A great draw for skiers all over the island and day trippers who want just experience something different after all that sun that has greeted the island for most of the year. It is said if you time it right you can ski in the morning in Troodos and then sunbathe on the beach at the coast in the afternoon. You could probably do that in March as the snow sometimes stays until then but we have known February on occasion to be a scorcher, we have sat on the patio in shorts but it is not common! If you get the opportunity to do both, don't miss it, as there aren't many places in the world you can do that! Limassol Travel - Do You Like History? If history and antiquity is your thing, then a perfect day for you would be going west of Limassol and heading for Kourion Amphitheatre, The Akrotiri Peninsula, Agnoyra Village or The Erimi Wine Museum. Limassol Travel - Are You Interested In Wine? If your Limassol Travel needs even more authentic and local experiences, then there is no better way to spend than visiting the Limassol Wine Villages. This area produces some outstanding wines and quite a bit goes for export, but a lot is retained for the local market. You get the option of tasting before buying, and you might be suprised just how lovely the wine can be. My personal favourite, Tsiakkas Winery in Pelendri make a lovely Rose, and I love to drink it in the summer. I wonder what you will choose? 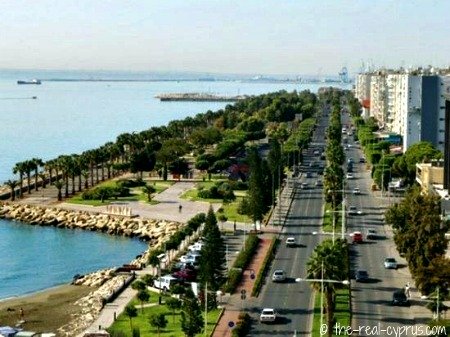 Limassol Travel - Is Nature Your Thing? River valleys, citrus groves and vineyards are part of this spectacular part of Limassol. Travel through wonderful scenery and round many corners are wonderful photo opportunities if you are so inclined. If you love scenery, fantastic vistas, driving through pretty villages, stopping at ancient little churches, eating delicious traditional food in local tavernas and breathing in fresh mountain air then you will love this trip.